For 5 generations, we have been working to reveal the purest expression of our terroir. Our House is known for its round and elegant wines of Saint Nicolas de Bourgueil, favoring fruit and finesse. As perfectionists, we are attentive to every detail guaranteeing the quality you deserve at your table. - Observation / understanding of the vine and its environment. La Chevallerie is one of the first wine-growing areas of Saint Nicolas de Bourgueil, dedicated to the cultivation of the vine for about 18 centuries. In the Middle Ages, the land known as "Hôtel de la Chevallerie" became the property of the Saint-Pierre de Bourgueil Abbey. Several sharecropping leases between the abbey and the winegrowers living in La Chevallerie are kept in the Indre-et-Loire archives.  On February 28, 1791, La Chevallerie was sold as "national property of first origin" for 40,000 pounds. Our entire range is single varietal. Emblematic of the Loire, Cabernet Franc is fully expressed on our fabulous gravel terroirs, revealing aromas that only St Nicolas de Bourgueil has the secret. Saint Nicolas de Bourgueil is the only red wine from the Loire produced in a single commune. Designed by Alain BRUNEAU in 1986, the grape reception system is higher than the maceration tanks. The semi-buried cellar and the steep slope contribute to the respect of the raw material. At the end of maceration, the transfer from the marc to the press is also done by gravity since 2008. This is the challenge of today's viticulture. The constant search for excellence has long guided our technical choices. Our philosophy is to take advantage of the progress of the winegrower's profession while perpetuating family know-how, so that the notion of terroir retains its full meaning. All year round, on frozen ground or under blazing sunshine, we walk our vines with great care. This difficult work gives birth to wines of character, reflections of our soul as peasant winegrowers.